Both photos taken in back yard. 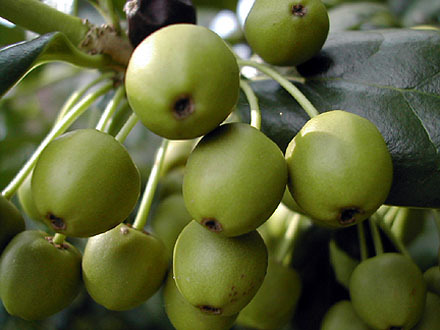 Clump of seed berries on a Holly bush. One berry is about the size of a small grape. 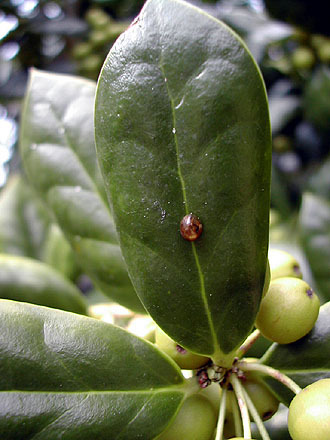 Baby Ladybug on a leaf of a Holly bush.